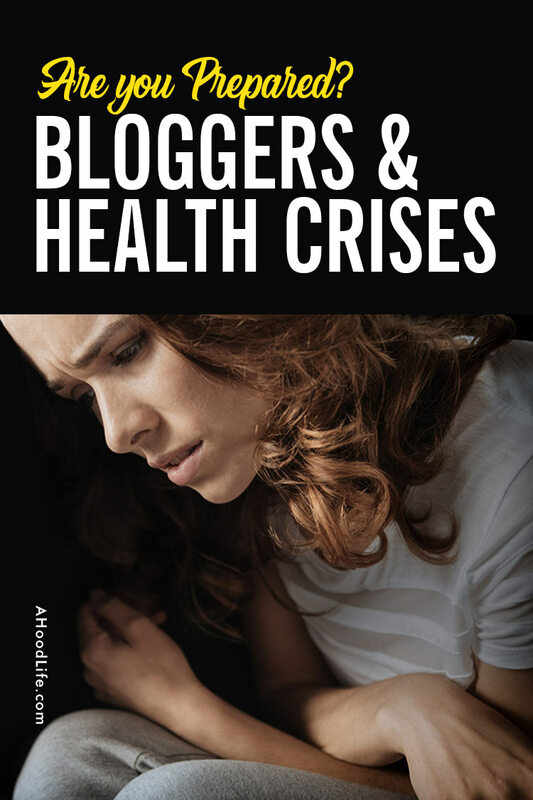 Home Bloggers And Health Crises – Are you Prepared? Health Issues! As a Blogger, Are You Prepared? 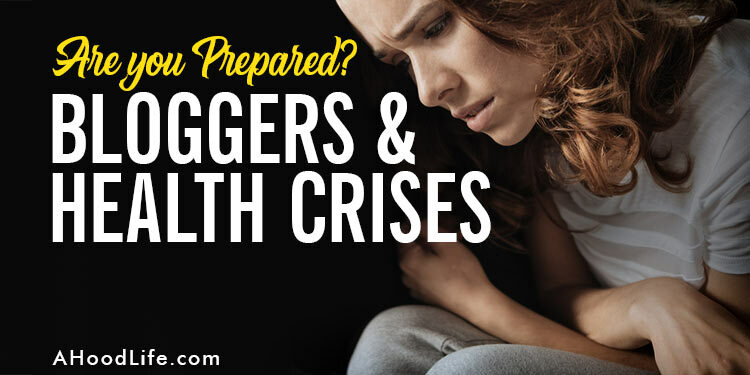 As a fellow blogger, I want you to be prepared for health care emergencies. Ashley, my wife, is having health issues. She’s been hurting and sick for a week. We found out today that she needs her gallbladder removed. As I’m writing this we’re waiting for a doctor consultation. This consultation will lead to the scheduling of surgery. Having her gallbladder removed is considered routine surgery. But without health insurance, we would be in bad shape financially. We are fortunate enough to have health insurance. I recently was discharged from physical therapy. I’ve been trying to get over a herniated disc in my lower back. We are all at risk of having health issues and you never know when they are going to pop up. 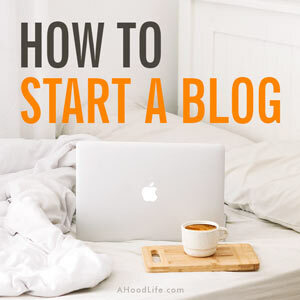 It’s something you must be prepared for if you want to be a full-time blogger. We are very fortunate that we aren’t having more severe health issues. They happen to people daily. We almost lost my sister years ago. Her medical bills added up to way over a million before she was in the clear. If it weren’t for her health insurance the financial impact would have been devastating. It was bad enough for her with the portion she had to pay. Health crises, big or small, all seem huge when you don’t have health insurance. Some will seem insurmountable! 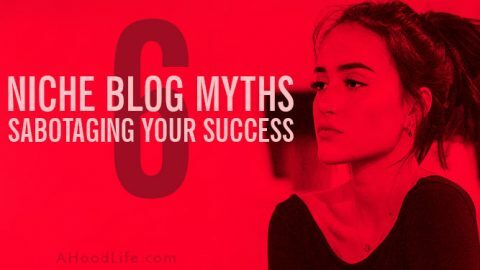 The goal for many of us is to create a blog and become a full-time blogger. If this is your goal, you’re right there with us. I was full-time for a very small window of time. Then I had a setback. I’ll get to that in a moment. I’ve been looking for other work, but I’ve not landed the right job. I’m essentially blogging full-time, but not exactly by choice. Don’t get me wrong. I want to blog full-time. 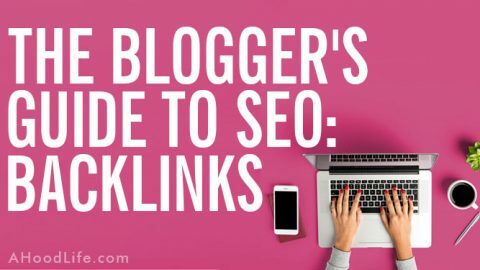 As a web geek, wannabe writer, and entrepreneur type person, blogging full-time is a dream come true. Ashley is still at her job. A Hood Life wouldn’t be here without her sacrifice. Her income and the benefits it provides keep us going. I can’t tell you what a great wife she is. I’m blessed beyond reason! As a full-time blogger, you need to have health insurance. It may be through your spouse or you may buy your own policy but having health insurance for you and your family is a part of doing business as a blogger. You’ll find health insurance to be more affordable in different areas of the country. I had my own policy when we lived in Tennessee. It was cheaper that way. But when we moved to Kentucky to be closer to Ashley’s family, we had to go through her work to cover me. It was too expensive for me to get it on my own. I’m no insurance expert. You’ll need to talk with someone to make sure you are covered. I just want you to be prepared and safe! Blogging has its ups and downs. I have a health blog that was making a small, full-time income for a short time. 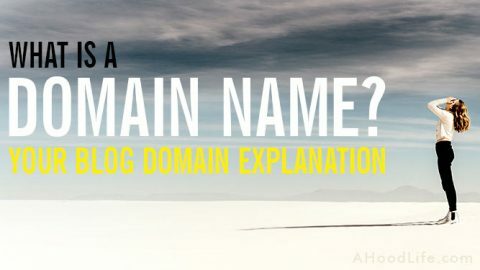 It took 3.5 years to build up, but one Google algorithm change and the income was gone. It was disheartening! I’d wanted to start A Hood Life for some time, but had been spending so much time with the health site that I couldn’t. When Google made the algorithm change August 1st, 2018 (the Medic Update), the site traffic fell dramatically and the income fell to about $6 a day. Some Starbucks money for this struggling blogger I guess. I tried to make site changes in the hopes of a recovery, but as of this date, the site only brings in 300 – 400 sessions a day. We went from being a minor blogging success to virtually nothing in one day. I’m not sure I’ll ever be able to breathe life back into that health site, so I decided to move forward with this one. Sometimes you have to pick yourself up and keep on moving. 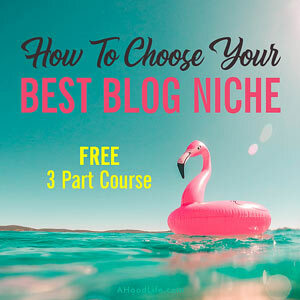 I say that to point out the volatility that may come with your blogging niche. The health site was ranked in many top 3 spots in Google search. The majority of the website traffic came from Google. I used Pinterest to great success. 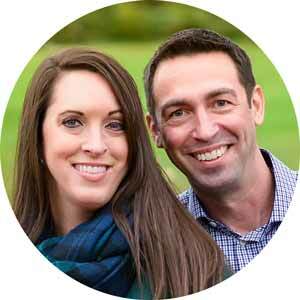 The Pinterest profile for the health site had reached over 800,000 average monthly viewers. Facebook was driving some traffic, and Twitter too. We had a good little email list before making certain adjustments we felt necessary to be in compliance with the GDPR. The diversification of traffic did not save the site. It tanked. 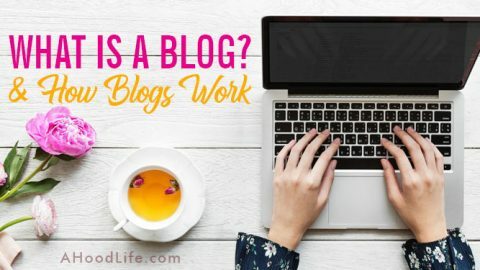 Before you quit your full-time job to blog, please make sure you’re prepared for the ups and downs of blogging! 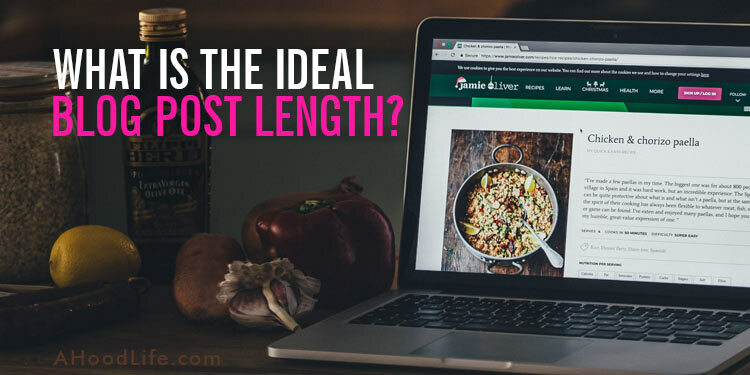 There’s a bonus to blogging income over the average hourly job! Passive blog income is very helpful in sustaining bloggers during minor health setbacks. Traffic from search engine optimization, Pinterest automation, or other traffic sources can lead to passive income from advertising and affiliate sales. 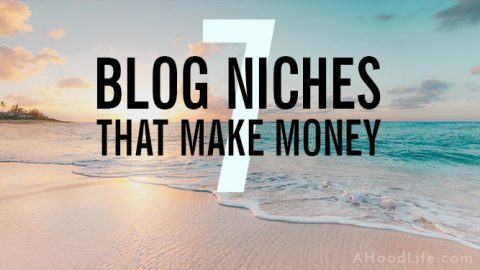 A blog’s ability to generate passive income is a great blessing! I would encourage to start working on passive income generation to cover your work absence when you’re sick or worse! 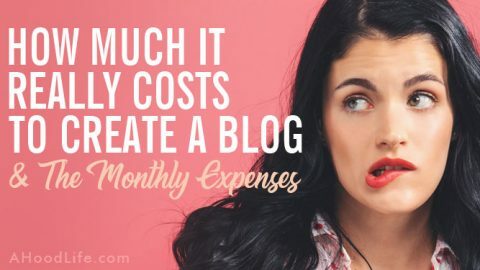 I myself as a blogger who started recently gets overwhelmed by the fact that I’m finding it hard to find time for my blogging business while being a medical student ; it’s a lot of work and in the aim of being influential and making an income so my parents can spend less on my high priced education. I hope I can relate to the obstacles that we bloggers face. But I’m not willing to let go of the passion I have for it! Hello Nichola! Impressive! I get overwhelmed and I’m not doing anything as tough as med school! Keep working on your passions they’ll lead you to great things. Blogging can be challenging, but helping others through this platform is a great reward. If I can ever be of help, please reach out. Best wishes on your road to becoming Dr. Nichola Dewapriya and influential blogger! Yes, it’s very important to point this out to folks. I, like your wife, make the same sacrifice, as my husband is self-employed. Insurance is extremely important and some times you don’t find that out until you really need it, unfortunately. Hello Stephanie! Thank you for your comment! I’m sure your family is grateful for your sacrifice and I’m very glad your son is doing better after all he’s gone through! Will pray for his continued improvement! Wow! Thanks for sharing this post! 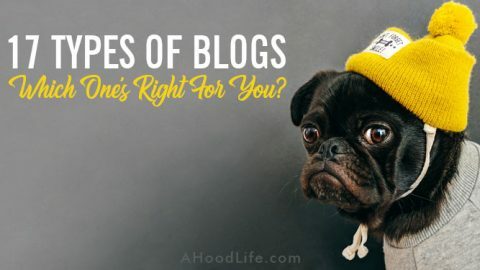 It’s really important to know about the pros and cons, especially since there are so many posts out there that outline the simple steps to becoming a blogging success without ever really discussing the risks involved. I’m sorry about the misfortune you’ve had to face and wish you the best! thanks for sharing these story. i will put all the advices to mind. Hope your wife is getting better by the way. i wish her safe recovery. Well, recently I too had gone for removal of gallbladder and thanks to my husband we had insurance. Thanks for sharing. I too had major health issues this year and thankfully am on my husbands health plan, when I was first added I myself tried to tell him no bc the expense for 2 of us was over double the normal deduction but I am so glad he did not listen to me, my hospital stay alone was $40,000 and that would have bankrupted us. Hello Crane! It is expensive, isn’t it?! I’m so glad you were covered and hope you’re doing better. Health costs can be devastating if you’re not insured.